It is Thursday, which san mean only one thing – we have another printable for you all! This week, we have a little educational tool for you all to use; lacing cards. 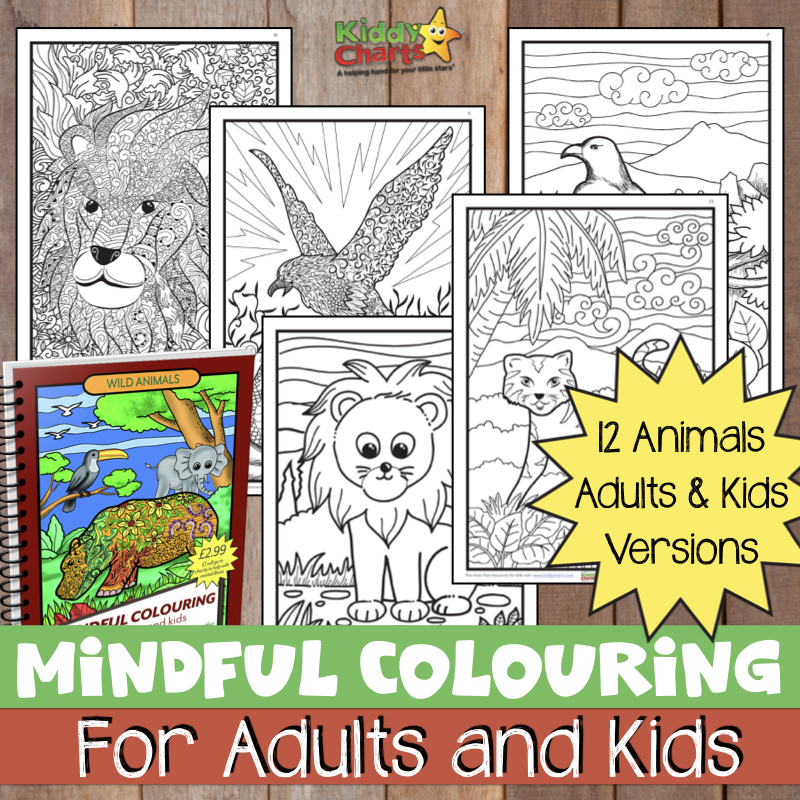 We have already done a few educational printables on the blog, and these are gorgeous. 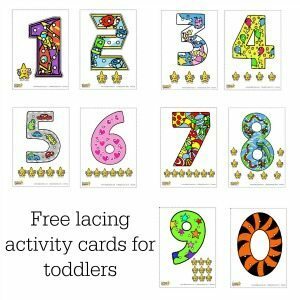 The are designed as numbers to help your children both with number recognition, and also with fine motor skills. To use them, all you really need to do is find yourself a shoelace, ribbon, or a bit of wool, print them out and cut out the holes, or push them out with scissors, and then let you children loose on lacing them. There are two numbers to a sheet of A4 so they should be big enough for you. If you are feeling particularly adventurous, you can punch out the holes after cutting out the picture with a hole punch too. This will make the holes a lot cleaner for your child to use. 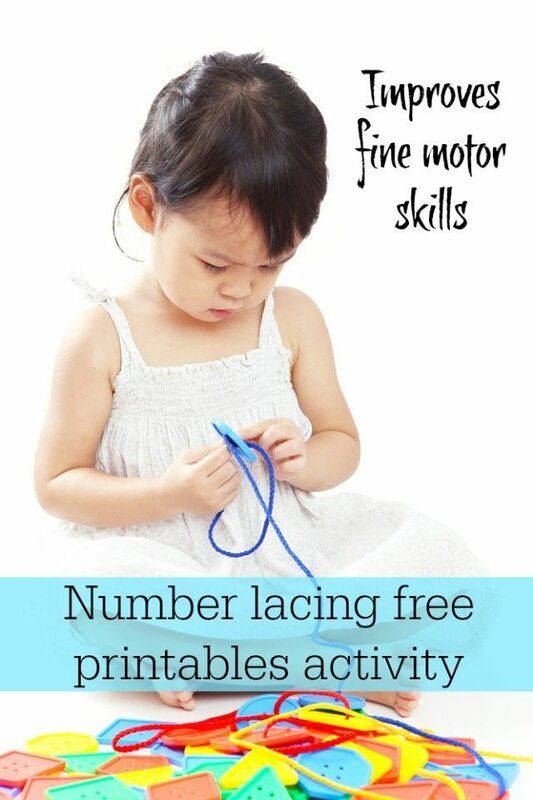 Remember, if you are using ribbon, it would probably be wise to pop a bit of sticky tape around the end of the ribbon so that it doesn’t fray while your child is lacing the numbers. This way if they do struggle a little with the activity, then their ribbon stays intact. An added bonus is that you can also help your children with number order, and counting as we have popped a few items on there for you corresponding to the number; just as a little further educational trick you can using alongside the lacing. For more printable ideas, do check out the Printables board that we have on Pinterest as well, where we share our own ideas as well as other great resources from the internet. Thanks so much for stopping by and we will see you again soon. Mark William Calaway (born March 24, 1965), better known by his ring name The Undertaker, is an American professional wrestler and actor. He is currently signed to WWE, where he has worked since 1990, making him the company’s longest-tenured in-ring performer.